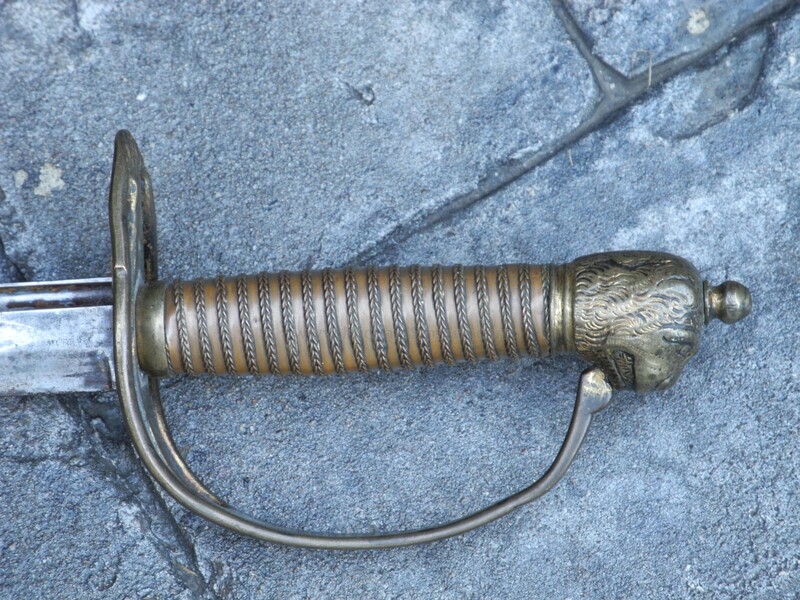 This is a model 1780 British Officer's Hanger or short sword. Although of this pattern designation date, this example was probably made in the Federal period (1790 - 1810). 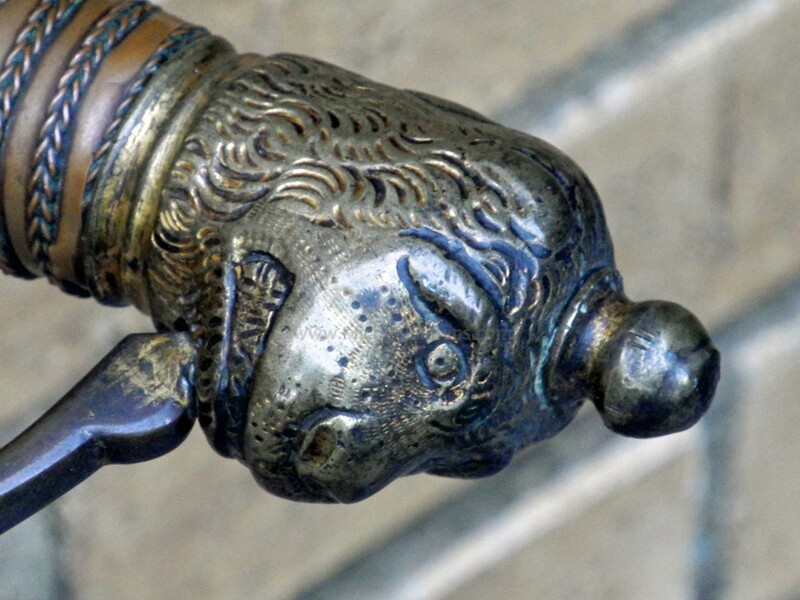 This one shows a bit of a crude hilt that almost looks like a monkey head. 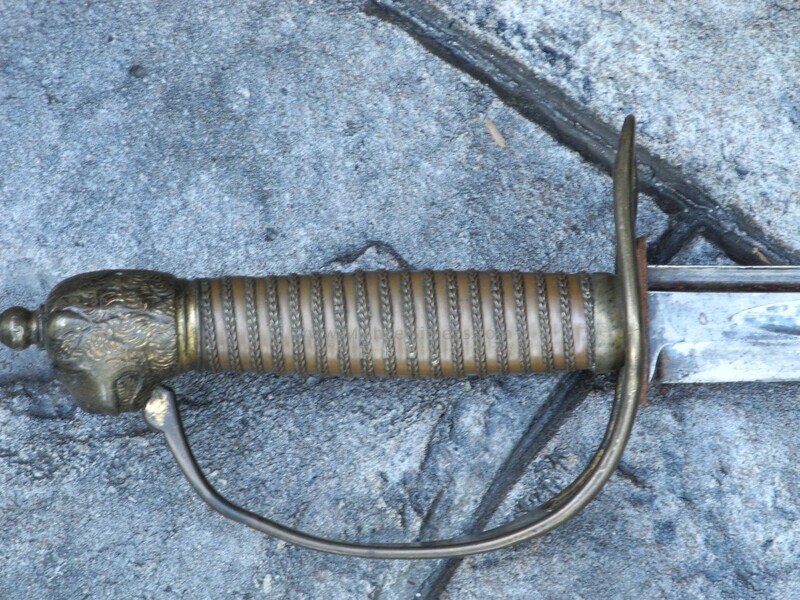 It has a floral etched, double fuller blade in nice condition (showing much of the etching) and a sound, solid grip with original wire. 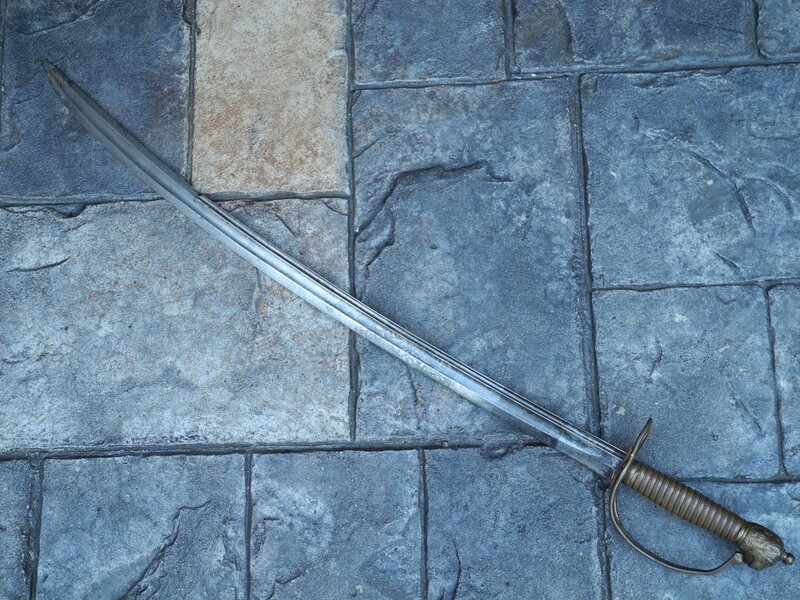 No scabbard but a very nice sword for this price.